It’s November 9 again and that means it’s time to almost forget about Carl Sagan Day like almost every year and get reminded by someone on the internet about it. Carl Sagan’s birthday should be celebrated especially on a day like this that will probably go down in history for something entirely else, which unfortunately also has before with quite a few negative historic connections here in Germany. Today it feels like we need to be reminded of something more positive and encouraging, so Sagan’s Pale Blue Dot seems to be entirely appropriate to read and listen to right now. 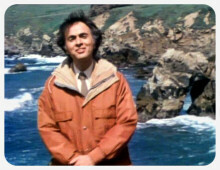 Sagan, who sadly passed away in 1996, has become more popular than ever since two years ago, when his seminal 1980 science blockbuster documentary Cosmos was re-imagined as Cosmos – A Spacetime Odyssey with Neil deGrasse Tyson, but with himself still very much part of it in spirit. Demystifiying science and invoking a sense of wonder that seems to be all but lost nowadays are still the most important goals every scientist, educator, teacher and everyone interested in science should have. This may be be even more important in the coming years in an increasingly science-unfriendly environment – sharing your own enthusiasm in all things science even if you’re not a scientist yourself is the best thing you can do. And that’s what I’m going to continue doing, too – we don’t need to turn everyone into a scientist, but spreading general scientific knowledge in the face of ignorance is more important than ever now. This is the most political I’m ever going to get here, because one of my rules is not to write about politics on the web. I’m here for other things, but if science and politics intersect, exceptions are sometimes necessary.